how to move through upsets (emotional reactions) more powerfully and more quickly; and more. RSVP: While not required, your RSVP is useful to us. If possible, please RSVP by sending an email to home@pittsburghpathwork.org. Simply put the number of guests in your party in the subject line. Walk-ins are welcome! Cost: Your donation helps offset the cost of the rent and materials, and to support ongoing Pittsburgh Pathwork programs. Optional Pre-Work: If you choose, exploring the following questions prior to the event is a great way to deepen what’s possible for you during the event. List any areas where you don’t feel connected with yourself or others. List one or more things you would really love to get from attending the event. 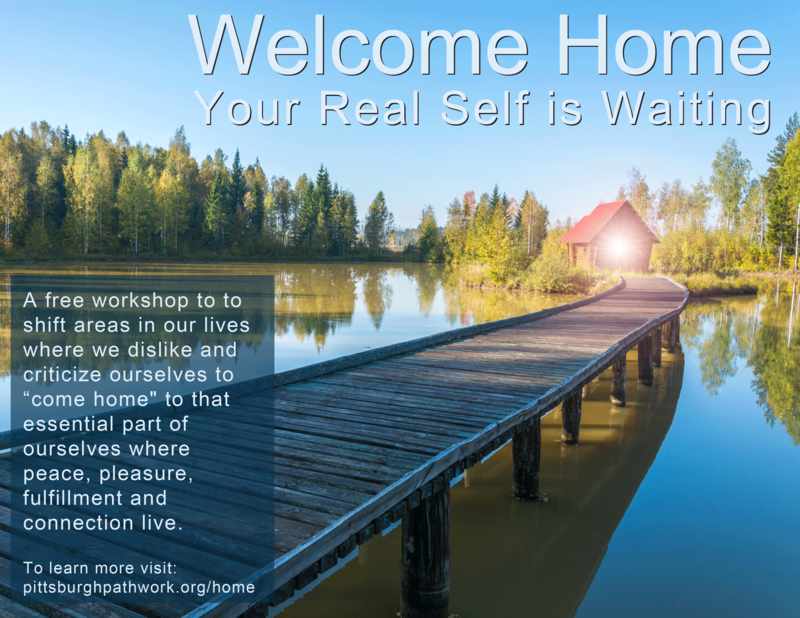 Pathwork is about connecting to yourself, others and the universe. This sweet and short video shows how one person used some old school (off line) technology to make a connection to 1000 strangers. Our shelter, the Flagstaff Shelter, is just past a little restaurant called Tomato Pie, located at 885 E. Ingomar Road, Wexford, PA 15090. Click here for directions. The shelter is just a few minutes from there. Pass Parish Hill building on the left, go around a sharp curve in the road and turn right into the parking lot – just across from St Paul Lutheran Church. Bring your family and friends … it’s free! You are welcome to bring a dish to share (but you don’t have to). Our shelter has electricity for crock pots. We will also have an alcohol permit, if you would like to bring beer or wine. We are serving vegetable, chicken and beef kabobs, soft drinks and water. This is a wonderful opportunity for each of us to expand our experience of community. It won’t be the same if you’re not there!